Here in the frozen north we are surrounded by white and brilliant blue. In a deep freeze (-40C without the wind chill), we are definitely longing for the tender greens of spring! 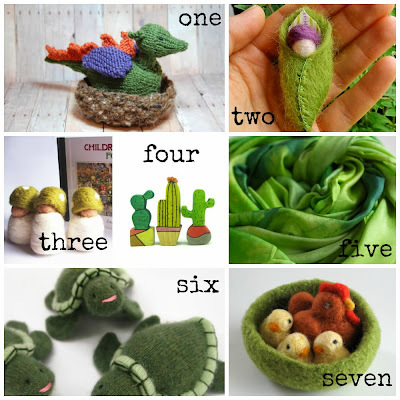 Keeping a weekly rhythm of colour in season leads to all sorts of wonderful finds, and today I want to share with you some gorgeous greens made with natural and eco-friendly materials for play and home.